Home / News / USA Today.com Feature: The China Bowl touchdown celebrations are absolutely electrifying! USA Today.com Feature: The China Bowl touchdown celebrations are absolutely electrifying! Thee CAFL is a professional arena football league in China, and every year they hold their championship game, the China Bowl. 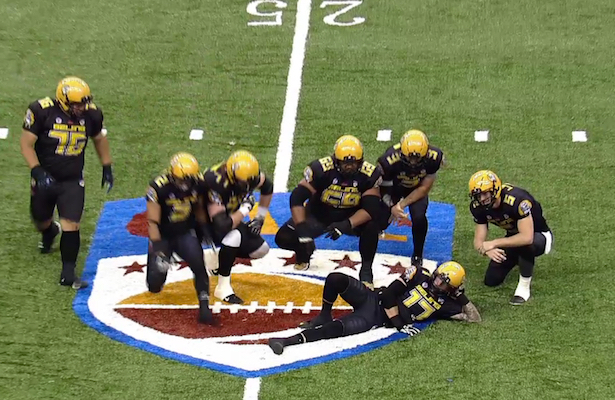 If these celebrations are any indication, I need to start watching the CAFL immediately. This league looks amazing. They go right to midfield and the whole team gets involved.